The bathhouse, now renamed the "Aquatorium", was built in 1921 and as a bathhouse it is a unique structure in the portfolio of it's architect George Washington Maher, who also designed the Pavilion. The Aquatorium is on the National Park Service's National Register of Historic Places, one of two Miller buildings on the Register (the other being the Miller Town Hall at Grand Blvd and Miller Ave). For years after it was built it was a focal point of Miller, drawing visitors from all over the region and Illinois on the hot days of summer. Gradually falling into disrepair it was closed in the 1960's. 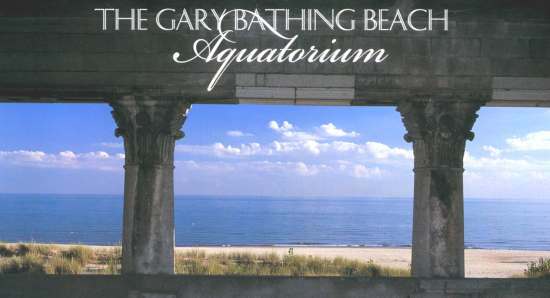 In the 1990's efforts to restore it were undertaken by The Aquatorium Society. Since then millions of dollars have been raised for the restoration. First was the east wing, named the Tuskegee Wing, done in 1999. Then, as part of the thirty million dollar Marquette Part restoration in 2014, the west wing was made into the Chanute Wing along with a museum. 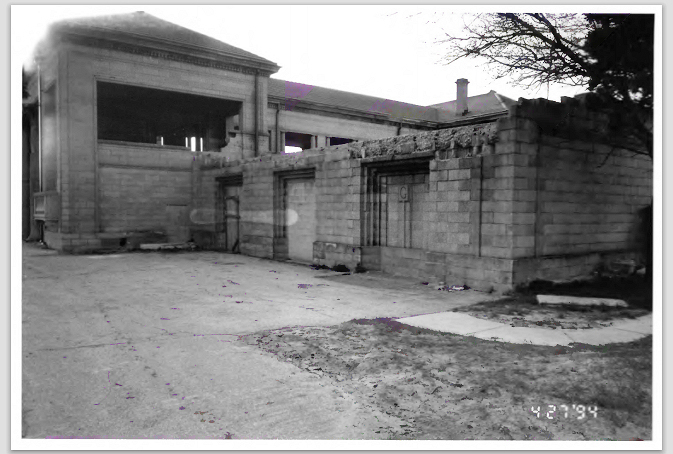 This clickable picture is of the southeast corner of the Aquatorium in 1994 before any restoration took place. It's from the supporting document for acquiring status as a National Landmark. The full document of pictures is online at the National Park Service's website. Click here to see the whole document of pictures. 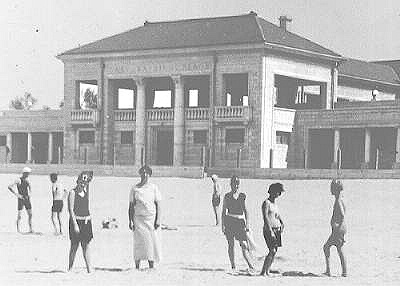 The Gary Bathing Beach Bathhouse circa 1925. An early example of pre-cast concrete modular construction, the restoration has been a replication of the original. Ninety percent of the building is built with only six basic cast blocks, the basic being the T-Block, a precursor of today's standard concrete block. Costs prohibited the duplication of this technique in the building of the new wing which is a replacement of the east shower area. In the fall of 1997 the contract was let to Lee Construction Management of Miller for major construction to begin in the spring of 1998. 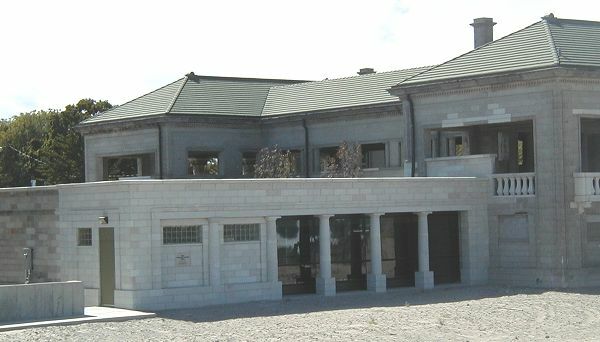 After demolition of the east showers and placement of a slab, the cornerstone for the new wing was laid in January of 1999 and this initial project was completed in July of 1999. Sizable donations or appropriations are still required to meet the costs of the original museum plans for the building. In the spring of 2000 major reconstruction of the second floor slab will be made which will water proof the enclosed areas below. With more money the demolition of the west showers will take place and be replaced with the Chanute Wing, a mirror image to the new Tuskegee Wing. The cornerstone for The Tuskegee Airmen Wing of the new museum was laid January 17, 1999. 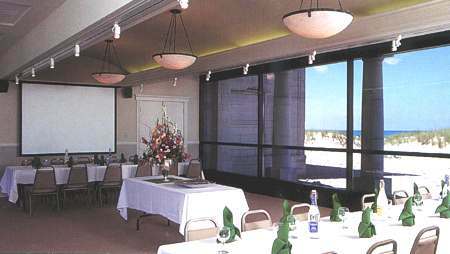 The Aquatorium is available for meetings, weddings, all sorts of events. 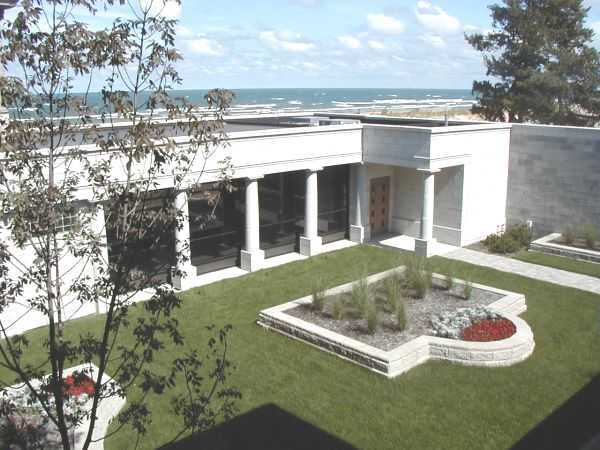 Contact Jan at 219-938-1986 to book the Aquatorium and arrange catering.